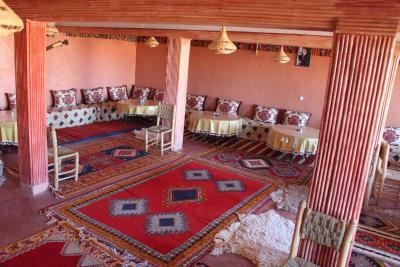 Lock in a great price for Chez Brahim – rated 8.7 by recent guests! Location is perfect. Probably one of the best location in the place. The view is absolutely amazing and the breakfast was nice. The staff is also really nice. We had some car trouble and they helped us a lot. Great views and comfortable if staying overnight. A little cold in winter so maybe bring long underwear as the room has no heating. The Ksar is about a 5 min walk down the street so it’s easily accessible if you want sunrise photos. I recommend staying here. 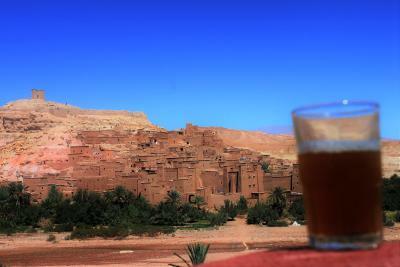 The view over Ait Ben Haddou was definitely the best and worth staying! Perfect view from room and from terrace on the old town. Helpful staff. The view on the kashbah is perfect from terrace. Good breakfast. Amazing panorama, friendly personnel, authentic room. Quiet & nice stay overall. 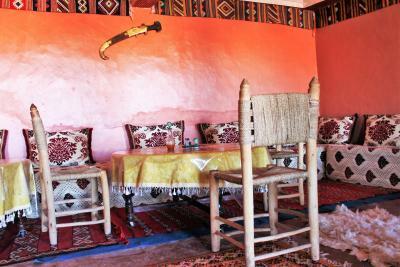 Decorated with traditional artifacts, the rooms at Chez Brahim feature a private bathroom with a shower and toilet. 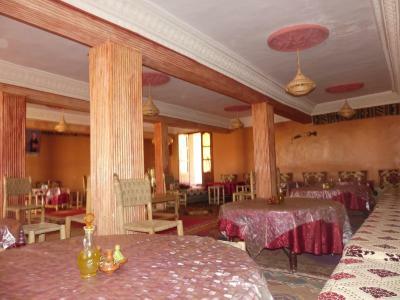 The restaurant serves regional specialties, and Chez Brahim can organize tours, hikes and excursions to discover the surrounding area. 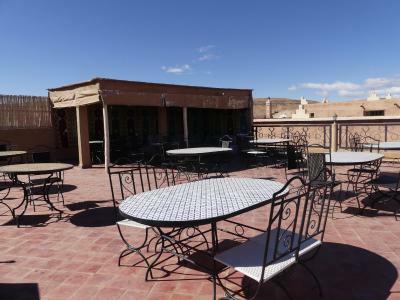 Chez Brahim is 21 mi from Ouarzazate International Airport, an airport shuttle service is available with a supplement, and free private parking is provided on site. 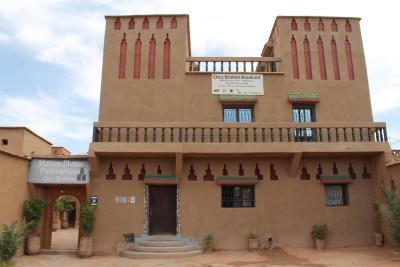 This property also has one of the top-rated locations in Aït Benhaddou! Guests are happier about it compared to other properties in the area. 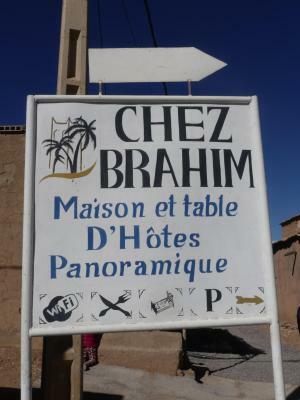 When would you like to stay at Chez Brahim? 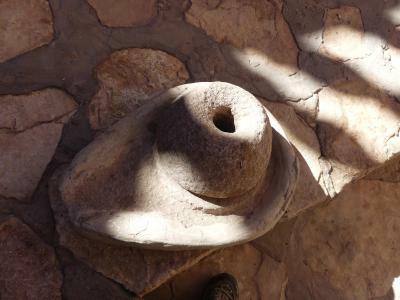 Wit a view of the historic Kasbah Ksar Ait Ben Hadou, the room features a private bathroom with a shower and toilet. Wit a view of the patio, the room features a private bathroom with a shower and toilet. 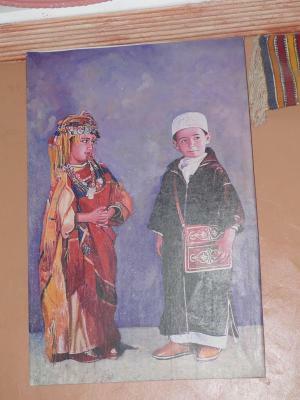 House Rules Chez Brahim takes special requests – add in the next step! A EUR1 damage deposit is required on arrival (around USD1.12). This deposit will be fully refunded at check-out, as long as there isn't any damage to the property. 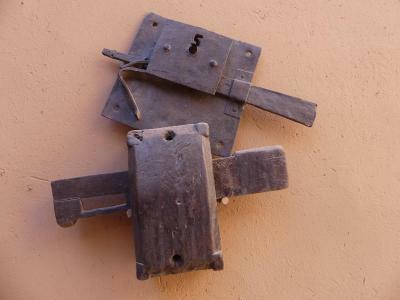 A damage deposit of EUR 1 is required on arrival. That's about 1.12USD. This will be collected as a cash payment. You should be reimbursed on check-out. Your deposit will be refunded in full, in cash, subject to an inspection of the property. Descent hotel (more like a hostel but without a vibe). Service seemed better in a hotel next to us, they were served tea and coffee when they asked, but when I asked for a coffee, one of the workers just told me there is a coffee shop close to our hotel... I had a breakfast, which was descent also, a boiled egg, fried bread, jams, and yogurt. First class location ,great hospitality and very comfortable bed . The best view from the terase. Nice haus and room. For me everything was good. 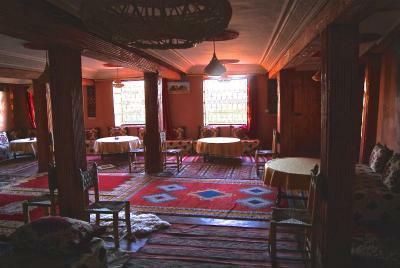 My friend (female) booked a Hamam with the accommodation and it was done by a male member of staff. She found that unusual and uncomfortable. So be aware if you consider this. The location is perfect. 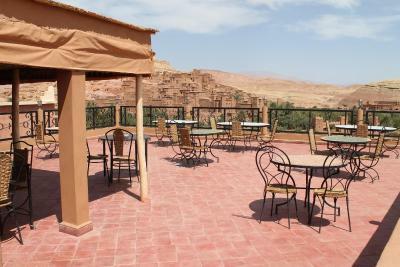 Stunning view on to the Kasbah from the rooftop terrace. Really friendly staff that was chatty and gave good advice. The food is good, got a 3 course meal. You can probably find it cheaper but it was worth it for us. The room was spacious and the bed very comfy. Wi-fi connection was very slow, almost not working in the room. Flies in the room. The view from the terrace was amazing! Air conditioner in the room, hot water, nice staff! Everything was well organized. 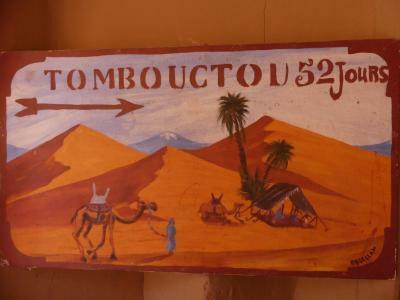 The guide recommended by the hotel gave us very interesting excursion and good advice how to spend the rest of the day. The taxi organized by the hotel arrived quickly and we had a good journey. online payment will be good.